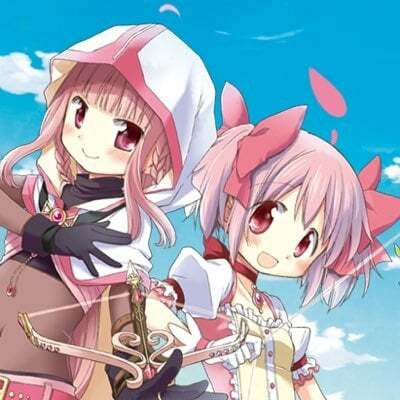 Wondering who everyone likes to use as their favorite healers. Feel free to post them. 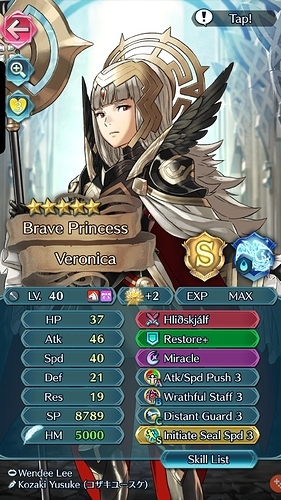 B!Veronica has been one of the greatest healers since her release imo. Her utility and offensive capabilities are among the best. One of my favorites of the OCs. 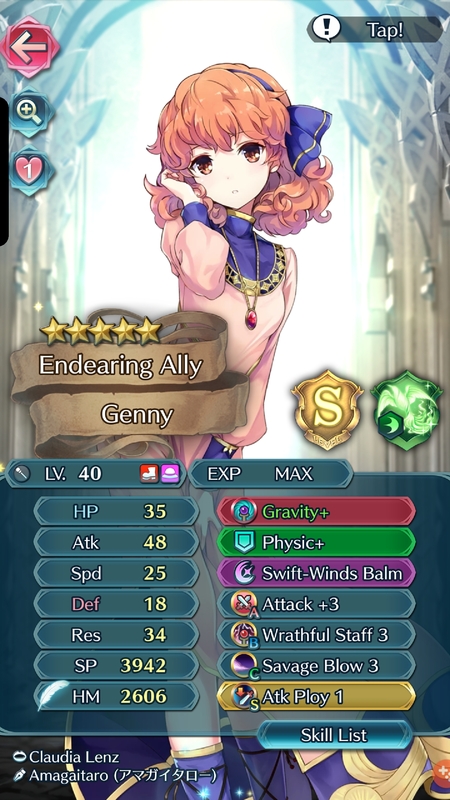 I also have a little sheep I still use every once in a while since her Gravity+Double Savage Blow tactics helps against a lot of maps and she has pretty great Res. I’d like to build this. One of the only healers I like. That’s a first, considering most dislike her. 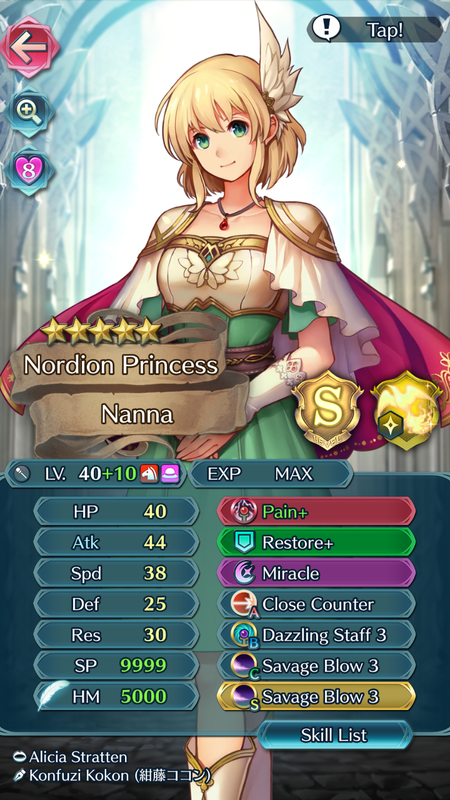 I’ve only ever pulled one copy of her and immediately made her 5 star. Good luck pulling 10 more. 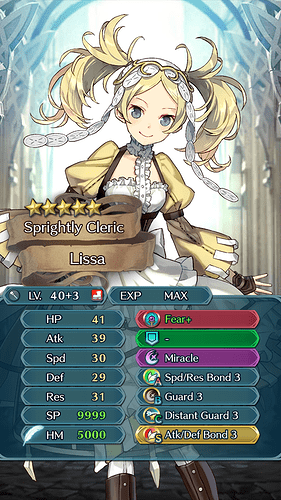 I currently have 6 Lissa’s in my barracks, and I have too many merge projects, lol. 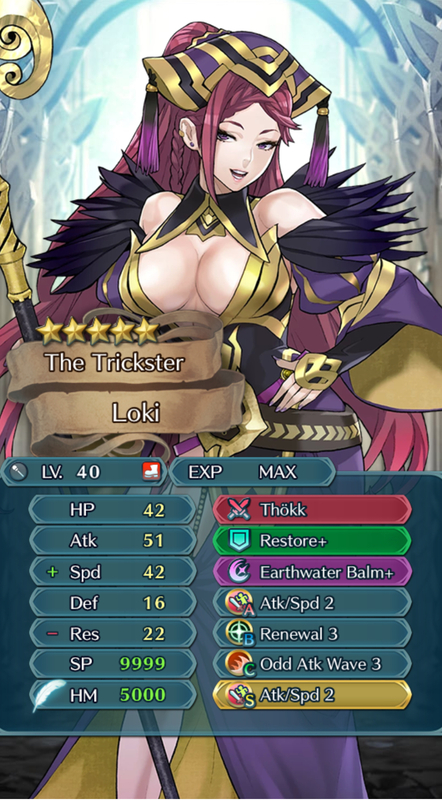 My most used are Nanna and Loki but I find H!Mia to be a lot fun and enjoy using her. 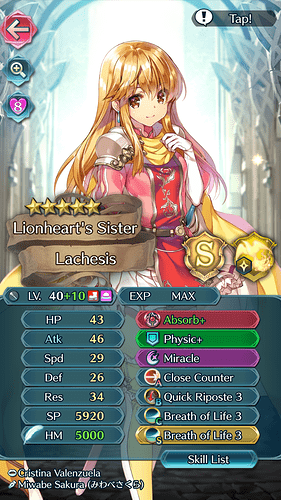 Ethlyn with base kit, physic is nice and she can act as tank. Elise because of gravity and cav movement. I barely use Veronica, i just don’t like her for some reason, idk why. That’s a conversation thing when you tap on her. Who else are you merging? Being a flier makes her really great. 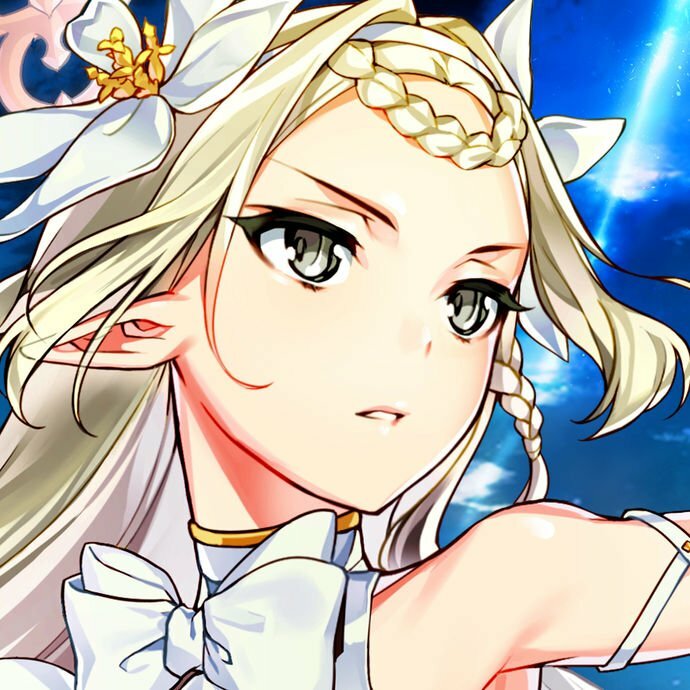 I missed out during this event since I was only focusing on one specific unit, but I’m hoping I can get a copy of her this year. Miracle in AR is great for stalling. Also, I forget who’s the mother and who’s the daughter. 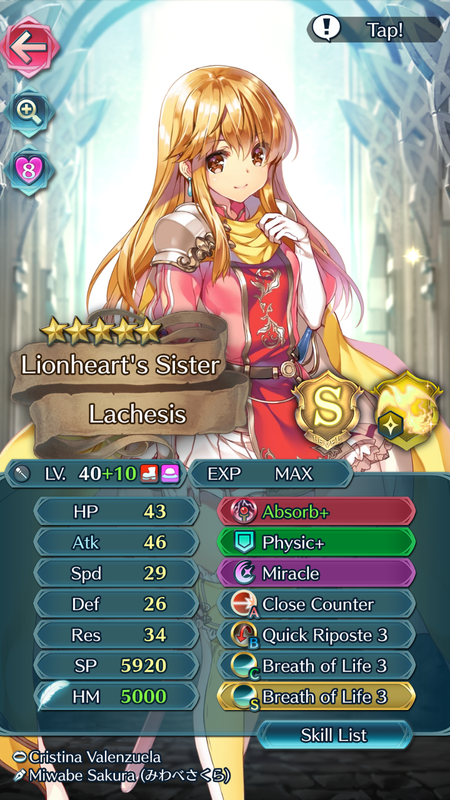 Ethlyn is one of the healers on my to do list. Physic’s range is great, and is why I still run it on Genny. Veronica’s pretty much fully built based on her base kit. That’s probably why. Having to face a lot of people who ended up choosing her can be annoying and can end up leaving people with a bad impression of her. I tried to pull him +Atk but I decided that after I got the +Def one I should save my orbs. I’d argue in favor of the +Def one even if it slightly hinders his healing potential. 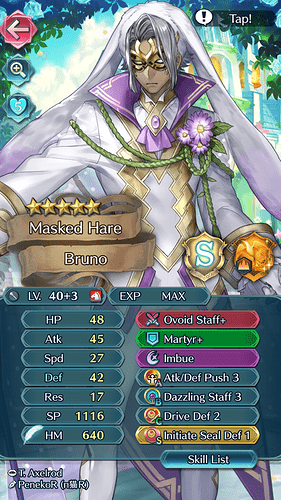 Though the few points he loses from not having +Atk are somewhat supplemented through his weapon’s effect. And now you have an especially tanky healing cav. Well, I wanna start merging Garon, but i might not (at least not at this moment) since I’m also merging Owain and Tibarn, not to mention Eliwood who’s at +6.